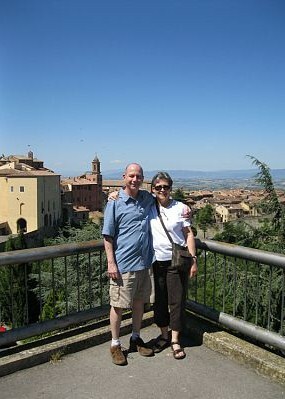 My parents spent a week and a half in Italy earlier this summer, and upon their return, I gave them an assignment. I asked them each, independently, to list all the museums they’d seen during their trip. My mother’s list was longer than my father’s, mostly because he worked only from memory, while she made her list based on what she’d written in her journal. Also, she accidentally listed one place twice. There was only one location whose museum-ness was disputed. She listed a winery; he said the winery was not a museum because it was “more commercial.” She maintained that the visit to the winery was “seeing something different, not like around here, and you can learn something,” and therefore it was like a museum. Both counted the many old churches they saw. He noticed that he tended to remember the art museums (which he is more interested in) but not the history museums (which she is more interested in). 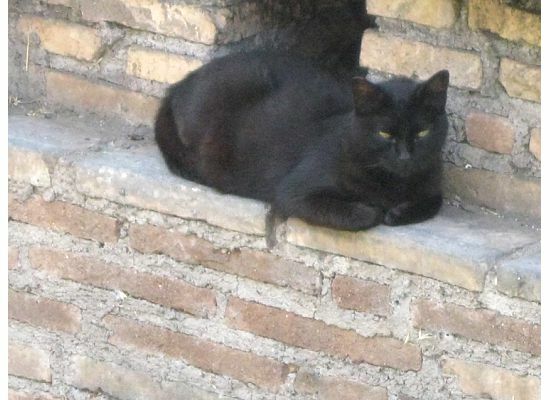 Torre Argentina is a site of ancient Roman ruins, where 250 cats are cared for while they await their forever homes. It is paradise for cats, full of structural relics to climb on and hide behind. This use of ruins may not exactly conform to best practices in conservation, but it’s an example of a historic site making a big difference for creatures in need. This entry was posted in Lists of Museums and tagged cat sanctuary, historic house of worship, historic site, Italy, museum, parents. Bookmark the permalink. Those two sound very fascinating. It’s too bad that the husband had to see it as a contest.